2. What Personal Information does Absolute Soul Secrets collect and why? If you create a membership account with Absolute Soul Secrets, we may require you to provide your name, address, email address and telephone numbers. Absolute Soul Secrets collects this personal information about you to provide you for marketing and promotional purposes only. If you do not wish to receive any marketing or promotional material from Absolute Soul Secrets or its partners, you can notify Absolute Soul Secrets that you wish to opt-out of receiving this material by sending an email to info@absolutesoulsecrets.com or, if you receive an SMS promotion, simply reply with a “STOP” message. Absolute Soul Secrets collects personal information in several ways directly from its online visitors when they order for themselves, purchase a gift voucher for a friend or when they register for a service offered by Absolute Soul Secrets. If an order is placed with us, we need to hold personal information including your name, email address, phone numbers, home address, shipping address(es), credit card billing address(es) and birth date so that we can process and fulfill your orders. Credit card details are entered directly into our payment partner’s systems and are neither transmitted nor held onto in the Absolute Soul Secrets systems. Any further information will only be done with your explicit consent. All details collated, including your name and password allow us to process your order. However we will supply our delivery company with your address and name to complete the delivery process. In this circumstance we will ensure that the third parties involved will uphold your privacy. We will not use your information for purposes other than described above unless we have your express consent or there are specified law enforcement or public health and safety reasons which require us to do so. Unless you consent, we will not disclose your personal information to third parties, other than those partners of Absolute Soul Secrets who have agreed to keep the information confidential, or who are subject to legal obligation to protect your personal information. In compliance with the Privacy Act 1988, SPAM Act 2003 and Mobile Premium Services Code, Absolute Soul Secrets will not hold any of your personal information for a time period in excess of that expressly stated in the relevant codes and legislation. 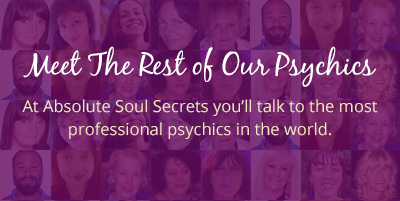 Absolute Soul Secrets will take all reasonable steps to let you know, generally, what sort of personal information we hold, for what purposes and how we collect, use and disclose that information. Upon your written request, Absolute Soul Secrets will provide access to your personal information we hold, except in certain prescribed circumstances, including emergency situations, specified business imperatives and law enforcement or other public interests. If you have any queries or concerns, please contact our privacy officer by completing the form on our Contact Us page.